When doing sports, your body loses minerals contained in sweat. 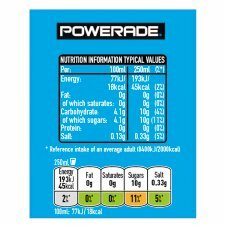 POWERADE ION4 is a sports drink that helps replenish fluids and 4 of the minerals lost in sweat; sodium, potassium, calcium and magnesium. 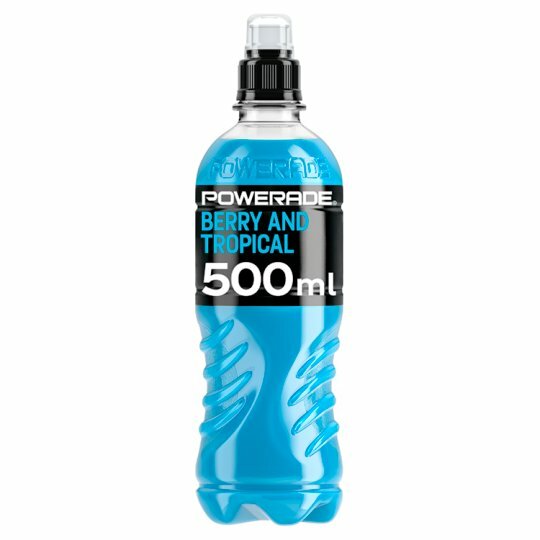 POWERADE is a great-tasting sports drink helping you to refuel and rehydrate better than water *. 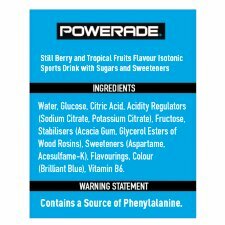 POWERADE ION4 is a product of The Coca-Cola Company. *When you exercise long and hard, POWERADE ION4 has not only water but also minerals and taste for effective hydration plus carbohydrates for performance. Choking hazard - cap not suitable for young children. Operate by hand. Do not re-use packaging.